This past week, Projectmates had a wonderful time visiting CMAA's National Conference & Trade Show in Washington, D.C. Held from October 8-10, the conference gave a great inside view to the CM/PM industry's hottest most compelling topics. Trending topics ranged from technology to project delivery, sustainability and long-term competitive advantages, and more. Projectmates attended not only as a software vendor for this important event, but also participated as a Diamond Sponsor. The Projectmates booth was full of energy this year with curious minds wanting to know more about what our capital construction program management software could do for them. Live demonstrations took place over the course of 2 jam-packed days, and overall our team had a blast! In attendance from Projectmates was Sales Executive Angel Armendariz, who gave demos to participants at CMAA during the session breaks. 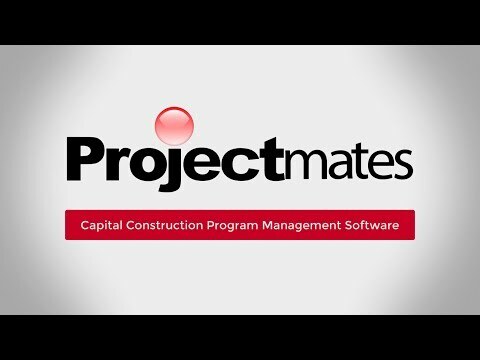 Angel spoke at length about new features and updates to the Projectmates capital construction management software. I enjoyed visiting with the attendees at the CMAA. Good people working on some amazing projects. We made some great connections and got a good feel for the current state of CM Management programs. The event was well put together to give everyone time to pursue the vendors while enjoying some food and drinks." — Angel Armendariz, Sales Executive at Systemates, Inc.
With Projectmates, government entities, healthcare institutions, education facilities and more can rest assured that their data is secure with a SOC 2 Type II certified software. Projectmates helps owners, executives, project managers, team members, and key decision makers collaborate together to manage all phases of construction from site selection through closeout. Projectmates' awesome Director of Client Services, Kaely Culbertson, had the opportunity to present a great talk at the conference this year, covering a topic that most construction owners may not think about: How Cloud Technology Directly Impacts Project Delivery. Accompanying her was guest speaker Glen Stirrat, Senior Construction Manager at Lidl US, who gave real world examples on the topic, including: the impact cloud-based CM technology has had with financial workflow approval, team collaboration through mobile technology, and faster facility opening times. The presentation talked about how business pressures can lead to compressed project timelines and how workflow efficiencies are of great importance. Inefficient project management results in missing deadlines, excessive change orders, and frustrated project teams, all of which can translate into delays. Participants gained an understanding about the significance of cloud-based technology and how it simplifies construction management processes, creates a cohesive project team, improves transparency and accountability, and serves as a secure repository for all design and construction documentation. The Construction Management Association of America (CMAA) is North America's only dedicated organization that addresses the interests of professional construction and program management. CMAA serves both owner and service provider practitioners, creating opportunities for professional growth and networking for its members. 2017 isn't the only year that Projectmates has attended the conference — In fact, Projectmates has been a member of CMAA and has attended CMAA events since the early 2000's. The reason for this is simple; Projectmates wants to help owners manage their construction projects in the most effective way possible while providing a simple-to-use interface to advance communications, collaboration, transparency, and accountability. Earlier this year, Projectmates attended and was a sponsor for the CMAA North Texas Chapter Annual Golf Tournament on September 27, where Kaely Culbertson was able to take a few swings with other members of CMAA and even some expert golfers. Projectmates also attended the 3rd Annual CMAA Project Achievement Awards in May, which recognized America's leading construction and program managers and their innovative projects around the world. The project award categories included Transportation, Education, Water/Wastewater/Industrial/Power/Utilities, Healthcare, Commercial/Sports/Entertainment/Hospitality, Government, Residential/Mixed-Use, and Environmental. The award ceremony was coordinated and led by Nicole Countryman, Sales Director at Projectmates as well as an active CMAA board member. Nicole has put together and run the CMAA North Texas Chapter Project Achievement Awards for 3 years running and is very involved with planning CMAA's efforts. The Projectmates team looks forward to attending future events with CMAA, and you can rest assured that we'll be back next year for the next National Conference & Trade Show! To learn more about Projectmates, click here. To schedule your free personalized demo, click here. Projectmates very own Kaely Culbertson, Director of Client Services, will be speaking at the upcoming CMAA National Conference & Trade Show in Washington, D.C., covering a topic that most owners may not think about: How Cloud Technology Directly Impacts Project Delivery. Projectmates is a proud sponsor and supporter of CMAA, which is North America's only dedicated organization that addresses the interests of professional construction and program management.